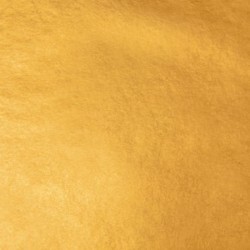 Buy 24kt Gold Leaf-Amazing Pure Fine Gold Leaf for Sale here. 24kt is the King of Gold-Leaf, 24kt Fine-Gold-Leaf-Patent or Loose-Leaf, 24kt Fine-Gold-Leaf-Loose. Available in Surface-Loose-Leaf or Patent-Transfer-Leaf in W&B and Manetti Brands. Available in Surface Loose and Patent Attached to paper for transfer, Sold 1 book 25 leaves or by the Pack of 20 Books =500 leaves. Rolled 24kt Fine-Gold-Leaf available in 67 feet long rolls from 1/4 inch to 4 inches wide. in different widths. This is where to buy gold leaf. fast shipping direct. 23kt Fine-Gold-Leaf contains a small amount of Silver too extend Gold and to lower the price, but 24kt Gold Leaf-Amazing Pure Fine Gold Leaf is superior to all Leaf. Pure Gold Leaf is less likely to tarnish as fast as lower Karats of Gold Leaf mixed with Silver does. 24kt Fine-Gold-Leaf is also easier to Burnish and is softer. Manetti 24kt Double Gold-Leaf Patent-Book of 1-books-gold-leaf contains 25 sheets of Gold-Leaf, size-3-3/8" x 3-3/8", Surface/Loo..
WB 24kt-Fine-Pure Gold-Leaf Patent-Book is 1-book of gold-leaf with contains 25 sheets of Gold-Leaf, size-3-3/8" x 3-3/8", Patent/Transfer-Leaf, ..